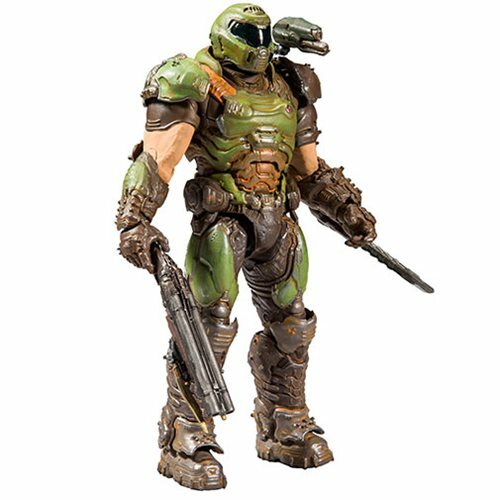 The incredibly detailed Doom Slayer Space Marine Armor 7-Inch Action Figure is based on the legendary Doom video game franchise. The figure features Doom Slayer in his most recent iteration of his Space Marine Armor. The figure comes with a base, the super shotgun, extended arm blade, and sheathed arm blade Doom Slayer has over 22 points of articulation and comes in Doom-themed window box packaging.